Sponsored Fun Run - Move like an Animal! We went on a walk to find out more about our local area. We went on a bear hunt today! 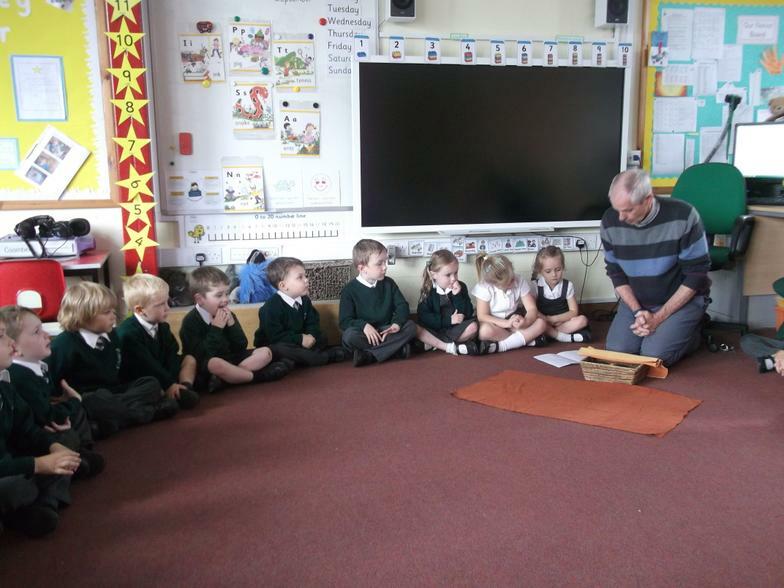 Year 1 children visited Reception today to read us their amazing 'Mog and the VET' stories. 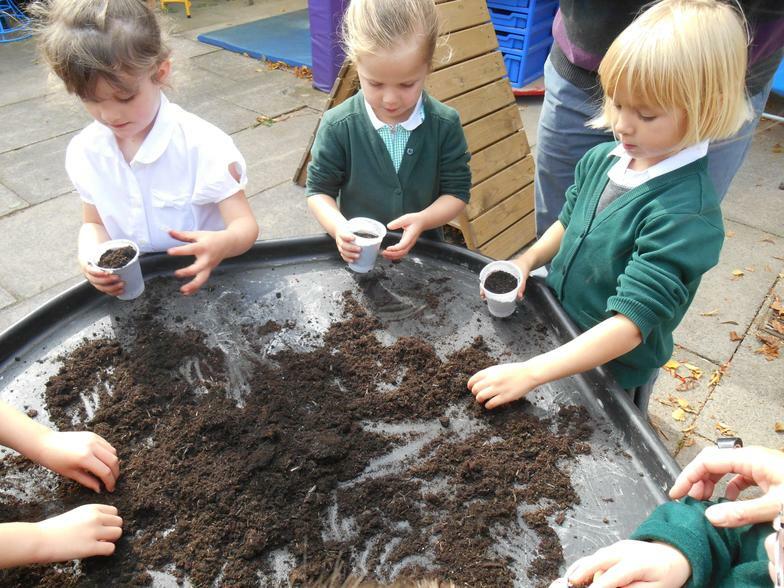 Our parents came to school today to help us with our learning. We showed them how we learn our phonics and really enjoyed having them here. We even gave out stickers!! Thank you to everyone who came in today. 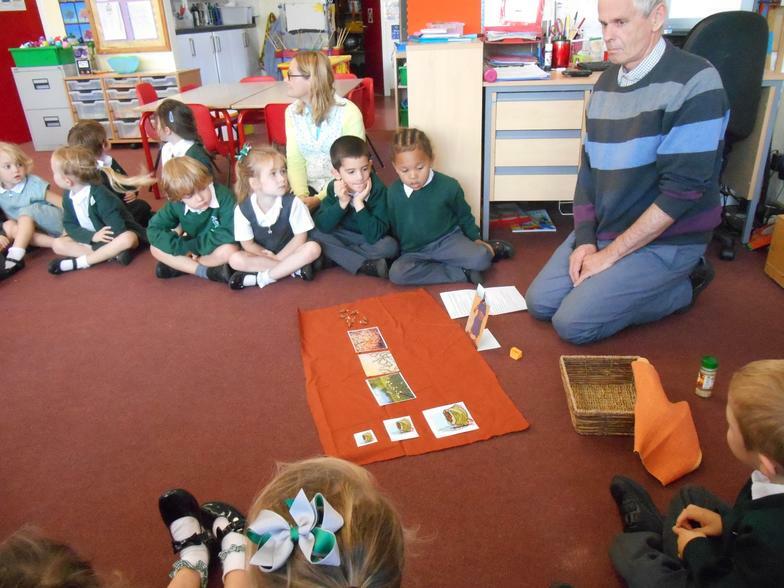 We have been learning about toys from the past and comparing them to our own toys. We had a visitor from Lowewood museum, she showed us some old toys such as spinning tops, Jacobs ladders and cup and balls. 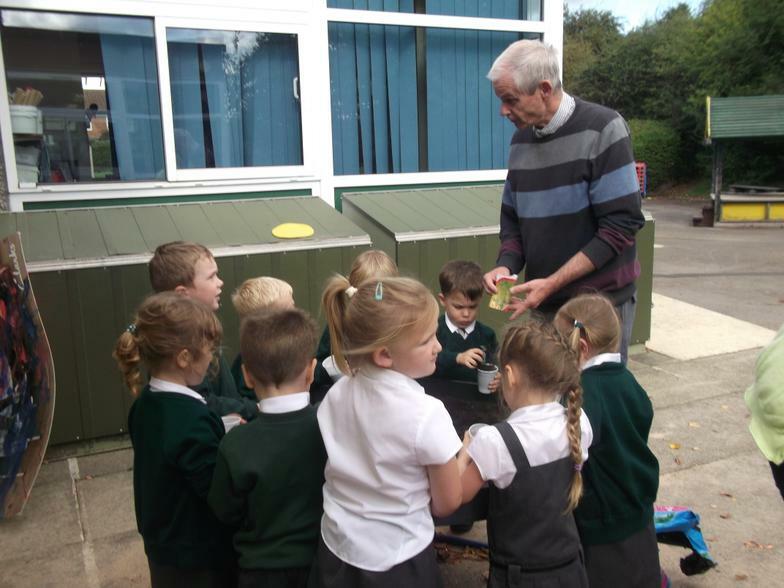 We had a play with them ourselves and learned that old toys are made from wood and metal. Later we looked at our own 'technology' toys and found out how they were different. This really helped us to understand how things change over time. Thank you to the Three Parks Children Centre for letting us borrow their equipment. 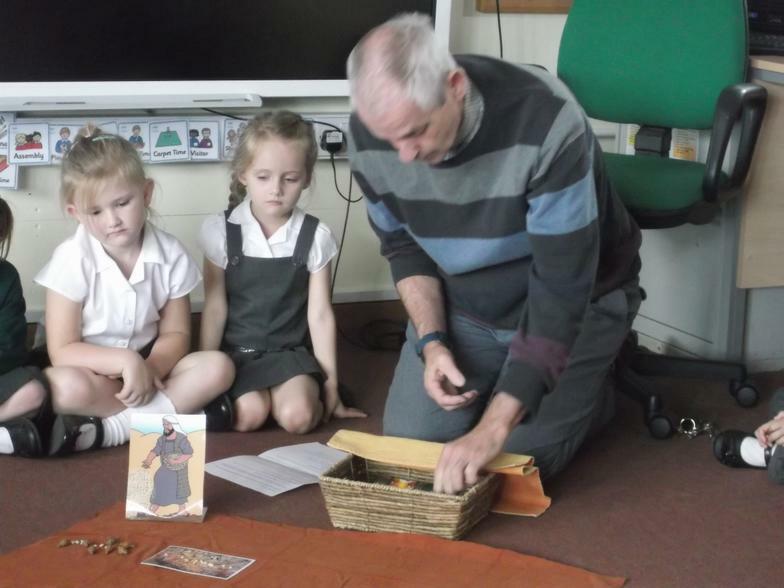 We had visitors from the church. 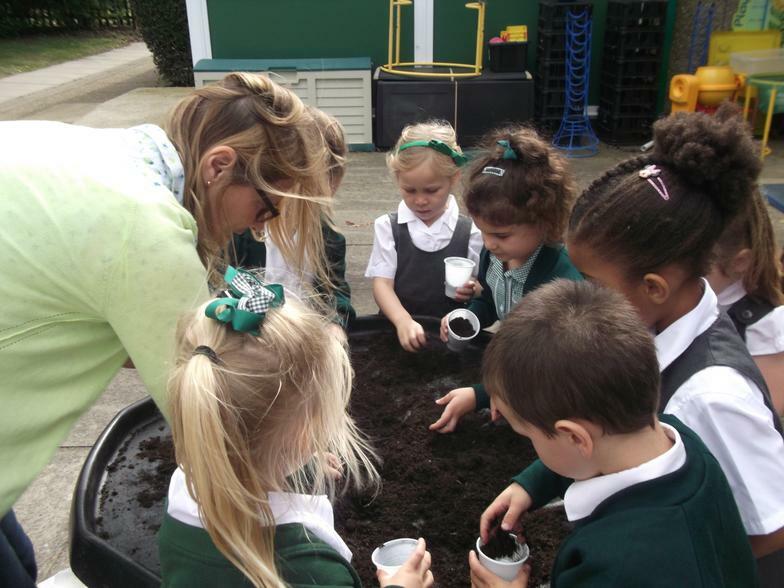 We learnt about harvest and planted seeds.